Good Guys – Robert Carra Responds to Cardinal Dolan’s Concerns Over Half Century Decline in Rate of Practice in Roman Catholic Church | It's the Women, Not the Men! 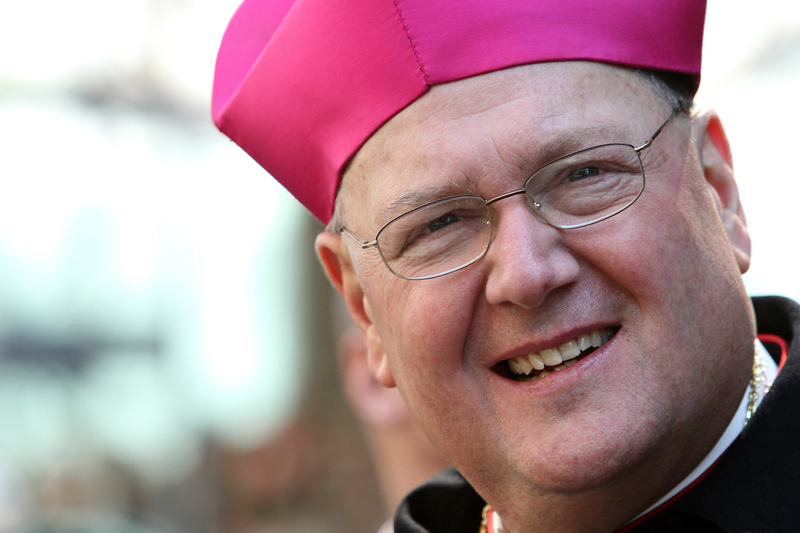 Cardinal Timothy M. Dolan, 65 – American Cardinal prelate of the Roman Catholic Church. On January 8, 2015, Cardinal Dolan, the Archbishop of the Archdiocese of New York wrote the article below. In response, Robert Carra, a resident of Lake Katrine in Ulster County, New York, wrote a letter-to-the-editor of the Catholic New York Newspaper on February 5th. It follows the Cardinal’s article. Now, once you’ve read both, I ask you, which of these two men appears to have come to grips with the reasons for the Catholic Church’s decline over the last half century? Who is “tilting with windmills”? And, who would be more likely to remedy the problem because he is willing to admit the cause? Over the last couple of days, I received a number of e-mails asking if I had seen the front page article in the Wall Street Journal of Saturday-Sunday, January 3-4, 2015. No, I had not, since my physician, to lower my blood pressure, has advised me to avoid salt and newspapers. However, given the inquiries from some folks, I thought I had better take a look at it. The article was headlined, “Europe’s Empty Churches Go on Sale,” and narrated how the grave decline in Catholic practice had sadly led bishops and pastors in classically fervent Catholic European countries (France, Holland, Germany, for instance) to close and sell thousands of churches, which were now largely empty and too costly to maintain. Is this what you’re bringing us to, the angry correspondents asked me, with this stupid, silly Making All Things New, and the senseless mergers of dozens of our parishes? For one, thank God, we Catholics in the archdiocese and, actually, in the United States as a whole, are not, like the article concluded about Europe, in decline. True, our rate of practice has gone down a lot from the hey-day of half-a-century ago, with now only about 15% of our Catholics faithfully attending Mass every Sunday. True, we, too, confront a secular tide—telling us that we can get along just fine without God, faith, religion, or the Church—but hardly as aggressive as in Europe. In fact, thanks to immigration and converts, the census of Catholics in the archdiocese, about 2.8 million people, remains steady. And, fortunately, thanks in large measure to my predecessor, Cardinal Egan, who was remarkably devoted to supporting our parishes, the archdiocese is pastorally strong and financially stable. Two, though, the dramatic demographic shifts of Catholics, especially from Manhattan, the Bronx, and parts of Westchester, and the decline in Mass attendance, has led to half-empty churches in aging buildings, most living off rental income from space no longer needed, with other parishes only blocks away. Meanwhile, in the upper counties, people are jammed into little chapels, “temporary churches,” or basements and gymnasiums, yearning to build new churches, or at least expand the ones they’ve got, and hoping the archdiocese can help them out, as we did decades ago with the now less needed churches in Manhattan, the Bronx, and Westchester. Why can’t the archdiocese do that? Because we’re using a lot of our money to fix and maintain the old ones in the city! Three, these same growing parishes ask for more priests, as do our high schools, college campuses, hospitals, our men and women in uniform, charitable apostolates, and nursing homes. Once again, priests are in parishes with declining numbers, with another parish only blocks away, who could be put to better use elsewhere. Four, although the critics will insist otherwise, unlike the Europe described in the article, we’re not anticipating an immediate, widespread sale of churches and parish property. The properties that belonged to the two former parishes that merged now belong with the newly established merged parish. If, in the future, the new parish decides it does not need, or can no longer support, the extra buildings, we’ll then have to patiently think about what to do with them, which might include alternate Church uses, community uses, rental, redevelopment, or, as a possible last resort, to sell them. It all comes down to what Pope St. John Paul II called the New Evangelization: are we going to use all our energy and resources—human and financial—maintaining the old, huge infrastructure of the past, put in place during the past years of 80% rates of Catholic fervor and participation, with an endless supply of priests, sisters, and children; or do we transform to mission, liberating ourselves from institutional caretaking and recapturing the gospel spirit of filling up the churches? Europe, according to the Wall Street Journal article, is now choked and fatigued by maintenance. We will be, too, if we do not “cast out to the deep” and become amissionary Church, more concerned about winning souls, coaxing the fallen-away back, and inviting new converts, than in keeping afloat parishes no longer essential to meet the needs of the people in that neighborhood. I think we would all rather be involved in the New Evangelization, rather than spending time and money on repairing the boiler and fixing the roof. I don’t want some newspaper doing a story in 2050 about how my successor down the line has to do what many parts of Europe are now having to do: figuring out how to sell empty, crumbling churches, to keep paying the hospice bill to keep the Church breathing. We here in the archdiocese are hardly on hospice. No! We’re still young, growing, vibrant. We are not in the grim situation of other dioceses which have had to merge and close a much greater percentage of their parishes. At the same time, we have to acknowledge the pain and sadness that these mergers will cause those whose parishes are merging, particularly for those whose churches will no longer be used for Mass and sacraments on a regular basis. This does not mean that these were “bad” parishes. Far from it! But we must take these steps to make sure that we are doing all we can to meet the needs of the people in this archdiocese as they exist now and, as best as we can anticipate, into the future. To stay strong, we have to make a few tough and painful decisions now, realistic about the changing needs of our Catholic people and where they now live, the number of our priests, and the proper stewardship of the money you, God’s People, entrust to us. I hope to make two points relating to Cardinal Dolan’s column on Jan. 8th. His Eminence spoke of the sad decline on the practice of our faith in the last half century. Coincidently, I realized, it has been approximately half a century since Vatican II. I’m not trying to say this decline proves the Second Vatican Council a failure, but does it show it a success? I do not open up an argument. I’m just suggesting we recognize, wonder and think about things. Next, I would like to suggest specific causes of the decline of Europe spoken of by Cardinal Dolan, but also right here. What is the answer? Is it not partly the result of a generation that reduces family size, and the destruction of the family, including the price of feminism, where women are encouraged to have career over children? Have we not been losing the battle waged upon us, by the secular world? Are we not facing the consequences of our own choices? I’m not a father, nor a priest, so I’m part of the statistics, part of the problem. My words solve nothing, but maybe they can help us think. I think you know with whom I agree. The Cardinal gives no reason for this world-wide decline, ignoring the 800 lb. gorilla in the room. Until the hierarchy acknowledges the fact that the feminization of women, and by association, the Church, are the root causes of the decline, they can evangelize all they want, nothing will ever change, and the decline will continue to increase exponentially with every new generation born!